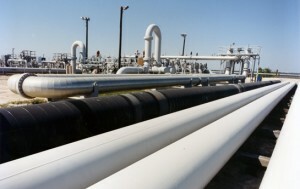 OurEnergyPolicy.org | Should We Use the Strategic Petroleum Reserve as a Revenue Stream? The U.S. currently maintains one of the world’s largest stockpiles of government owned oil, the Strategic Petroleum Reserve (SPR). In response to the 1970s oil embargo and supply shocks, the U.S. created the SPR to ensure access to oil in the event of a severe energy supply interruption. The current SPR consists of four storage sites, housing 694 million barrels of oil that is equivalent to at least 90 days of net oil imports. The SPR has only been tapped three times, but the recent budget deal provides that the government sell 58 million barrels of oil to fund a portion of the $80 billion in new spending outlined in the budget. This is not the first time the SPR has been suggested as a source of revenue for new spending. Earlier this year, the 21st Century Cures Act, which passed the House, proposed the sale of 80 million barrels of oil to raise funds for drug research, and the FAST Act, (originally titled the DRIVE Act) which passed both the House and Senate, would sell 66 million barrels to pay for highway infrastructure. There are conflicting views on whether the U.S. should sell none, all or a portion of the SPR. Some believe the federal government should only use revenue from SPR sales to fund improvements to national energy security, while others say the SPR should remain untouched because they view it as vital for our economy. On the other hand, SPR critics argue that the SPR is unnecessary since the U.S. is now a bigger oil producer, the global market is more complex than in the 1970s and the amount of privately owned crude oil is sufficient to protect the U.S. from temporary supply interruptions. Many of them say the SPR should be sold completely with revenues going towards the national debt. Should policymakers use the Strategic Petroleum Reserve to fund government programs? If so, what types of programs? Should the SPR be eliminated and fully sold off? 15 Responses to Should We Use the Strategic Petroleum Reserve as a Revenue Stream? No but we should consider the economic implications for a different future. If renewables are capable of powering most of society and I believe that is possible the existing carbon resources will and should end up as the carbon reserve. Existing base load power plants that are carbon based should not be allowed to be dismantled and removed but preserved in operational condition. We did this for the U.S. Fleet after WW II and both ideas should be considered together. Mother nature and the earth do not play a simple games with man. They make sudden climate changes that can disrupt all kinds of renewable systems and since we have in place the materials, the technology and have put up the capital we should look at these existing supplies and resources as an insurance policy for the unknown. Something that will give our society a chance and have the time to make the best decisions possible to preserve all the rest we have. The recent series of proposed and enacted drawdowns constitute a fundamental transformation in the purpose and function of the SPR. I am encouraged that the compromise on the highway bill reflects my efforts to preserve the integrity of the SPR. Through most of its history, the theme of the SPR was expansion and preparation for emergencies. In the present discussion, that theme has shifted to depletion and revenue-raising. The SPR was not designed to draw down so much oil so frequently over such a long period of time. All of these issues – the size of the reserve, the integrity of the reserve, and our global standing – should be considered in any discussion related to modernization of SPR. So, in order to provide some context, lets look at a couple of numbers. Global strategic government stocks are roughly 2.1 billion barrels today. About 1.5 billion barrels of that stock are held in segregated government storage. In addition, stockholding obligations in OECD Europe add about another 650 million barrels (60 days of the 90 days of net importing requirement) if we assume the European industry needs 30 days of operating stocks, then the other 60 days could be considered strategic. Combining the segregated stocks with the mandatory industry stocks gets us to 2.1 billion barrels. Also, note that number includes China, India and Taiwan strategic stocks. Now let’s assume a nuclear device is detonated over the Arab Peninsula or the Arab Gulf. Experts have surmised in the past that it could take up to 2 years for areas that have become uninhabitable due to nuclear fallout to become habitable again. So, not even taking into account the impact on the Persian Gulf countries, themselves, net exports of crude oil to the rest of the world of roughly 17 million b/d would most likely be eliminated. With 2.1 billion barrels, strategic stocks could replace these exports for 123 days or 4 months. Ok, lets say only half of the next exports are eliminated or 8.5 million barrels per day, the world’s strategic stocks could replace those volumes for 8 months. Obviously you could supplement strategic stocks with surge production, alternative energies and demand restraint. But you would have to take pretty aggressive (and quick) measures to offset the loss of the AG’s net crude exports. This is what the SPR was built for..volume replacement in a crisis. It was only in recent years (now decades) that the SPR became a price mitigation or price smoothing tool of policymakers. So it is no surprise that relative newcomers to the energy security debate are misled in to seeing the SPR as a revenue raising opportunity. For elected officials in the U.S., it’s all about dollars and apparently highways. The U.S. used to be a global leader that could execute something as remarkable as the SPR because it was a prudent tool for the truly catastrophic emergency with global repercussions. I guess those days are over. It’s not surprising that in the present budgetary and political environment, and with hugely increased national oil and gas reserves, that the SPR is being seen as a potential cash cow. But if the purpose of the SPR is and was, as Senator Murkowski points out, to be used only in time of emergencies and large supply disruptions then we should re-examine the need for the SPR according to these criteria. It would be interesting to hear more from the OEP expert community about this. Assuming a “right-sized” SPR is the conclusion (not necessarily a given, given how global markets are arguably more volatile and potentially subject to large geo-political disruptions), we should also consider whether buying high and selling low is a sensible practice, despite budgetary pressures. It should also be observed that China has been creating its own SPR, and increasingly buying “at the bottom” at the same time that the US government is looking to do the opposite. Is this further evidence that Autocracy again trumps Democracy when it comes to taking good decisions on energy policy? The world has changed greatly since the SPR was created. As noted, the US is now the biggest oil producer, far less dependent on imports, if at all. So rethinking the SPR may be timely. But this expedient budget gambit has nothing to do with that. It reflects the unwillingness of the Congress to grapple realistically with the country’s acute budget problems. As has been well known for years, that would require serious reforms of both entitlements and the tax code. Instead, the latest stop-gap budget deal is merely another exercise in “kicking the can” down the road. This chronic procrastination of fiscal reform cannot persist much longer. The CBO estimates that in just a few more years, entitlements will consumer 100% of federal tax revenue. Everything else the federal government does will have to either be paid for with borrowed money or be abandoned. To the extent that the SPR sale is just serving another shot of booze to a jaundiced alcoholic, it’s a bad idea. As stated by all previous respondents to this question, the Strategic Petroleum Reserve was not created to provide cash when cash is short. Rather, it was and should still be intended to provide fuel for urgent necessities when something unexpected happens, whether the latter is a natural occurrence or is caused by an adversary. At the present time, with petroleum prices relatively low, it would make more sense to fill the Strategic Petroleum Reserve to the brim than to reduce it in order to allow Congress to put off dealing ” … realistically with the country’s acute budget problems,” as Lewis Perelman said. I too don’t understand this idea from conservative proponents of “the market works by itself” who seem to dominate the conversation … that since we bought high we should now sell petroleum while the price is low. The SPR has a rated capacity of 714 MM barrels and is currently at 696 MM, so it is close to “filled to the brim”. It was bought for an average price of $29.70, so buying low and selling high applies even at the prices today and who can predict the price in the sale period of 2018-2023? The real issues are two: 1. Do we need an SPR for future disruptions or has the narrative changed from 1975 when we devised it? 2. Ought sale proceeds be used for a purpose other than energy security and in particular ought it to be used to balance budgets? I am qualified to speak to only the first point. Shale oil in the ground is our strategic reserve now. On an existing field a new well can be drilled and oil produced in 30 days at most from the decision to do so. In other words, at fairly short notice we can unleash a good deal of light sweet oil. Incidentally, only 39% of our SPR oil is sweet. I do believe we should retain at least the IEA agreed to amount of 90 MM barrels, and possibly as much as 200 MM barrels. By 2020 or so we ought to be North America self sufficient, greatly reducing the possibility of supply disruption. On the second point, my not-so-informed opinion is that if the SPR is not really needed for the original purpose, at least at current size, Congress ought to have a say on how to use the proceeds. If the target spend is on highway infrastructure, there is at least a connection to oil; ordinarily fuel tax, flat for the last twenty years, would be used. I do recognize that only the President can take the action, but that is a detail that could be worked out. Incidentally, a sale ought to go hand in hand with a lifting of the oil export ban, which serves only to give US producers a lower price of between $4 and $8 than all other producers in the world. Today on December 8 the price in the US is $38. $4 more could mean survival for some. I know that Senator Murkowski at least agrees with lifting the ban. The Strategic Petroleum Reserve was established to insure the United States didn’t not have a liquid fuels shortfall as we did during the 1970’s oil embargo. Now that the USA has become one of the world’s largest oil producers, this may appear less critical. But, according to data from The Energy Information Administration (EIA) in their 2014 Early Release Overview, oil imports decreased from 12.55 million barrels per day in 2005, (60 percent of daily U.S. consumption), to 7.45 million barrels per day, (40 percent of daily U.S. consumption), in 2012. So we still have some risk. The only rationale to cut the strategic reserve, would be to insure that the USA has maximum options for liquid fuels. So unless the funds are used to stockpile biodiesel, of the cellulosic biofuels as a domestic alternative that helps scale those fuels .. any other approach would put the US at risk and counter to the original intent of the SPR. A few thoughts on this. First, SPR is a key element in the US meeting its stockpiling obligations under the International Energy Agency. I assume whatever legislation has been introduced takes this into account, but we don’t have full freedom here. Second, other IEA members handle stockpiling differently than the US. Rather than nationalize the inventory as we have done, other nations use a mix of public and private stockpiles. If people think domestic fracking can substitute for our existing storage mechanisms, the provision of that capacity should be formalized in legal agreements and obligations to ensure that happens. The agreements need to include speed of extraction and delivery capability, not just barrels of oil. Third, there is the issue of financing. Currently, the US doesn’t even account for its stockpiling properly. Oil that has been purchased, shipped, and stored in the SPR is now “inventory,” and is far from cost-free to hold. We pick up the costs to build the facilities and annual costs to staff and repair them. But financing that inventory requires working capital — just like holding automobiles awaiting sale in a dealer’s parking lot does. In fact, taxpayers hold extra debt to cover the cost of holding the stocks. Yet this cost never shows up in SPR’s books. Even once you get the accounting right, the question of how to fund it needs to be considered. Again, not all IEA members think this is a cost to dump on taxpayers. In the US as well, the stockpile should be paid for by oil market beneficiaries, not by general taxpayers. A targeted excise tax would do this; and might also increase pressure on the government to identify a mix of reserve strategies to save money. It is a very bad idea to tap the SPR to enable a bit more deficit spending. The reasons for maintaining the SPR have not changed, and tight oil does not alter that equation. The real problem, as Dr. Perleman notes, is a failure on the part of all our elected leaders, to deal seriously with structural deficits. There are many signs pointing to a reduced importance of the Strategic Petroleum Reserve (SPR). In the roughly forty-year history of the SPR, the emergency releases from the reserve have been infrequent, small in quantity (less than 10% of total SPR inventories), and difficult to time correctly. Further, not all petroleum disruptions can be remedied by an injection of crude oil. For instance, following Hurricane Katrina, the United States experienced a disruption in oil production plus a disruption in refining capacity. The emergency release of crude oil in response to this natural disaster resulted simply in the released oil building up in private inventories since there was not sufficient refining capacity available to process the released oil. The state of the domestic petroleum market has also changed in ways that diminish the importance of the SPR. Domestic production of oil is up, domestic consumption of oil is down, and imports of oil are down. It is likely that the SPR is oversized, that inventories should be reduced, and perhaps a number of SPR facilities should be sold off. However, the decision of the optimal size of the SPR under current conditions should be made on the basis of energy security and the health of the general economy. In the event that the SPR should be reduced in size, the primary concern must be to carefully unwind the massive position of the reserve to maximize the revenues generated from oil sales. Selling off too much oil too quickly in the interest of funding a specific program will depress the price of oil yielding lower revenues. Unwinding the reserve too slowly will result in incurring operational costs over a longer duration and yield a lower present value of revenues. This situation of selling off an oversized stockpile is similar to the historical example of the collapse of the Australian Wool Corporation in the early 1990s. The ultimate use of the funds generated from SPR oil sales should not be a consideration when determining when and how to reduce the reserve unless the funds are used for a related purpose such as incentivizing private storage of oil to meet the reserve requirement. The recent Bipartisan Budget Act authorizes the sale of 58 million barrels of SPR oil between FY 2018-25 to reduce the federal deficit. Putting aside questions of whether this is an “appropriate” policy objective for selling the SPR, one can ask whether temporarily downsizing the SPR will undermine its strategic leverage. To this question, I would argue that the U.S.’ reduced import exposure and its more reliable supplier base imply the overall size of SPR could be reduced, likely substantially, without sacrificing the level of protection it was created to afford. Precise estimates are better left to the actuarial models used by Department of Energy researchers to compute the optimal size of the SPR, but they should specify a size far smaller than the current 695,000,000 barrels. Beyond questions of size, it is clear that the SPR’s most urgently-needed updates center on questions of location and distribution. The recent U.S. domestic production boom has reversed the direction of the central pipelines that the SPR was designed to rely upon: many of the pipelines in the SPR’s three distribution systems that had previously taken oil imported and refined along the Gulf of Mexico and transported it northward towards Chicago, passing through east-west distribution points along the way—now flow north to south, taking oil produced in the Baaken region of the Dakotas and moving it southward to be refined by the same Gulf refineries. Reversing these pipelines (to flow northward again) can take months. This means that, with all 695 million barrels located along the Gulf of Mexico, SPR stocks currently have few options for reaching the country quickly. The recent budget act wisely reserved an estimated 40-50 million barrels of oil in FY 2017-20 for SPR modernization. The Obama Administration, prompted by Congress, has launched a comprehensive review of the SPR to determine what this modernization effort should entail (final recommendations are due in 2016 and are expected to address size, composition, infrastructure and delivery questions). This is a good start. Ideally, however, before committing substantial sums to updating the Reserve and its accompanying distribution infrastructure, we should also pause to consider not just the best means of optimizing the SPR against its current mandate, but whether that mandate is itself still the right one for U.S. interests into the next decade. From the rise of new leading oil consumers (like India and China) that remain outside the IEA structure, to widening fissures within OPEC, to evolving supply disruption risks (cyber, for example), and shifting energy trade patterns – many of the most basic geopolitical and market assumptions underpinning the SPR and its role in the broader global energy security picture need to be revisited. Optimizing the SPR for an outdated mandate is not optimizing. Reviewing the SPR’s mandate should begin with a fresh look at the U.S.’ leading energy security vulnerabilities—as well as the prospects for global cooperation— where the point is not merely to understand how we should structure the SPR, but rather how we might, through limited public dollars, maximize U.S. energy security. It could be that an updated SPR, complete with the billions of dollars in public investment that this would require over the next decade, remains the U.S.’ most efficient bet. It could also be that there are better options for addressing the U.S.’ energy security needs than what any SPR, however optimized, might offer. Several of the thoughtful posts above ably express what seems to me to be the single most important point about the SPR; namely, the state of geopolitics and of the world oil market both differ so much from those that prevailed in the 1970s that the SPR requires, as Mr. Scheitrum Dr. Harris, and others point out, a thorough reassessment. One key question is the extent to which U.S. tight oil reduces the need for the SPR. In a 2010 article, Eugene Gholz and Daryl Press summarize 6 cases of post-1973 global oil supply disruptions. They find that, during these cases, the affected countries suffered production losses ranging from 2.3 to 5.5 mb/d. Strikingly, in all cases except that of the 1979 Iranian Revolution, within six months of the onset of the disruption, the market had restored global output to prior levels. For comparison, in recent years U.S. tight oil producers have been able to expand output by about 1.5 mb/d. It is not clear (at least not to me) that this rate of growth is either the most that could be accomplished or that producers could now replicate it in the present more hostile regulatory environment. Nor, of course, is there any guarantee that a future supply disruption might not exceed those of the past. Still, one might speculate that the surge capacity of U.S. tight oil is large enough to substantially dampen a negative supply shock of historically realistic size. It is not, in itself, able to replace the SPR as an emergency stock. Having looked at oil markets for 40 years, I take a longer perspective than the other commentators. In 1973 US oil imports were 3.5 million bbl/day, far lower than now. Yet, the shock of the price increase was massive. Key to breaking the prices after the Iran revolution was new oil production from Alaska and the North Sea. Now North Slope production is a shadow of its former volumes and can barely keep the pipeline flowing. Furthermore, the North Sea is in decline. Everyone points to the shale revolution. However, EIA has projected a peak in 30 years for shale, which means, without drastic demand reductions imports will start increasing again. If imports were to continue to decline to below the 1973 level, the selling of SPR oil makes sense. However, that is unlikely. Selling low now and buying high later is a bad idea at Treasury interest rates. The SPR has not been managed well because moving the oil to market has been treated as a bureaucratic process. None of the serious research literature discusses using the oil to cover shortfalls, except for those that resulted from the failed Nixon price controls. Markets clear and the only question is at what price? (The gasoline lines in 1973-1974 were the result of panic buying and gas-station owners closing early because the price regulations cut into their margins. The shortage was in pumping capacity and inventories were higher at the end of the embargo than at the beginning.) The purpose of the reserve is to dampen prices and stem a surge in the balance of payments deficit, which is a tax on the macro economy. DoE misused the reserve during the first Gulf War. The failure to get SPR oil on the market soon enough and in large enough quantities to move the price led to the recession after this war. If DoE cannot become more market-oriented in selling oil to move the market, then the SPR should be closed. However, if DoE can actually move the oil out to dampen prices and lessen the extraction of dollars from the domestic economy due to higher prices for imported oil, then the reserve can be valuable insurance for the economy. Beyond the energy consequences, selling assets to balance a budget does not shrink a budget deficit under GAAP because your assets shrink. The budget balances for government only because government operates on a cash budget and does not have a proper balance sheet, with assets, liabilities, and proper depreciation measures for such physical assets like roads. If you sell your house to go on vacation, you have covered your vacation expenses but have no place to live. Government accounting should meet standards that would apply to corporations. We would demand prison for a CEO if he/she were to do what the US government does when it comes to accounting.